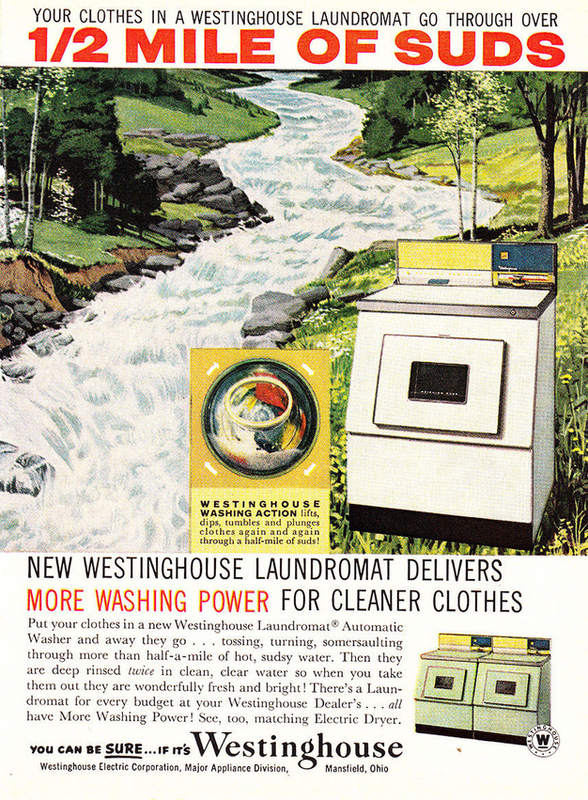 I bet Westinghouse would think twice about this particular spin on its laundry appliances today. 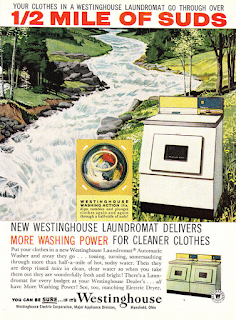 In 1960, a river of soapy water might have impressed folks with its implied cleansing power. But today, we see it for what it is: egregious pollution and waste.